As in any diagnosis that would set a child apart from their classmate, having a tic or Tourette disorder can, unfortunately, make your child a target for bullying. While that increases the likelihood, unfortunately, bullying can happen to children of all shapes, sizes, and personalities. Even more complicated, bullying can take place in many forms. With the more obvious form of physical bullying, verbal and social bullying is often less recognized. 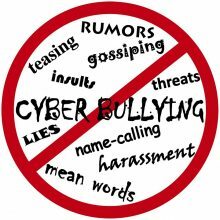 With the wide accessibility of technology and the personal privacy of social media, cyber-bullying has become increasingly more common. No matter the form, all types of bullying are unacceptable and can be harmful to your child. Be aware of signs of bullying (1,2), as often; these can present similarly to symptoms of TS or the co-occurring conditions. However, what is important to note is a change or some unusual that might not be attributed to living with tic disorders. Assign a peer advocacy or ambassador. This program, through the PACER program, supports young people who want to make a difference against bullying by matching students with others to offer social inclusion and prevent bullying. Although there is no federal anti-bullying law (2), the U.S. Department of Education has worked with each state to created laws to prevent and take action against bullying. Understanding the parameters of the laws, where and how to go about reporting bullying, as well as what services are available after the bullying takes place. It has been shown (3) that many times adults are not aware of how to appropriately respond when their child tells them about bullying. By staying aware of the anti-bullying laws in your state, and being pro-active in educating, the more positive impact we can make for the fight against bullying. For tic and Tourette disorder-specific bullying prevention education, visit the Tourette Association Web page. Visit the bullying resource page for webinars and toolkits.